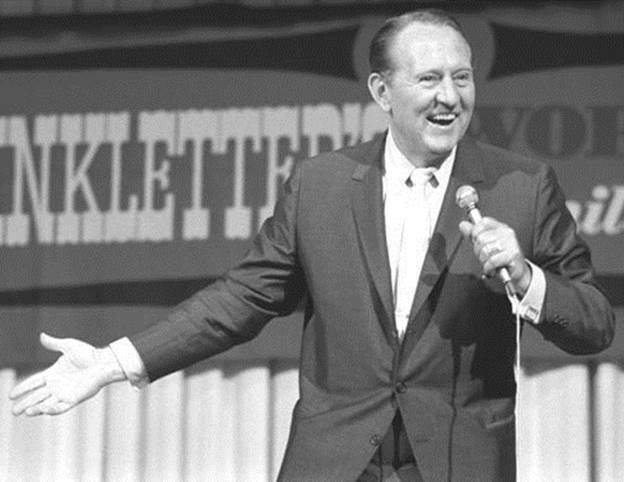 Frankfurt, Germany, June 15, 1967: Art Linkletter tapes his popular House Party television show at Frankfurt's Palmengarten during a tour of U.S. bases in England, Germany, Italy, Greece and Spain. Linkletter not only had one of TV's longest-running shows (25 years) in House Party, but his book, Kids Say the Darndest Things, is among the all-time best-sellers. "I disagree with those who say communism is the cause of campus uprisings," Linkletter said in an interview. "Communism has been too easily demonstrated as a flop to hold any genuine appeal."